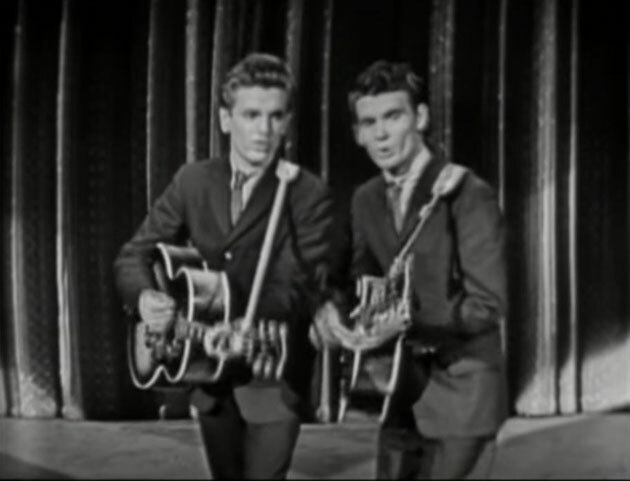 The Everly Brothers performs Wake Up Little Susie"
"Wake Up Little Susie" is a popular song written by Felice and Boudleaux Bryant and published in 1957. The song is best known in a recording by The Everly Brothers,issued by Cadence Records as catalog number 1337. The Everly Brothers record reached No. 1 on the Billboard Pop chart and the Cash Box Best Selling Records chart, despite having been banned from Boston radio stations for lyrics that, at the time, were considered suggestive, according to a 1986 interview with Don Everly. 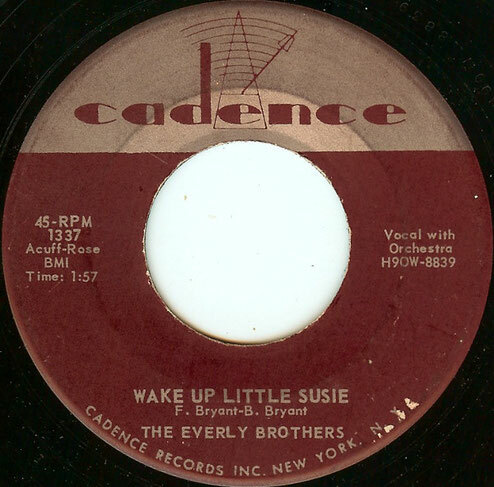 "Wake Up Little Susie" also spent seven weeks atop the Billboard country chart and got to number two on the UK Singles Chart. The song was ranked at No. 318 on the Rolling Stone magazine's list of The 500 Greatest Songs of All Time. What are we gonna tell your Pa? When they say, "Ooh la la!"